When you can read articles in the buff book new car magazines about how BMW is bringing in their latest 5-series powered by a turbo diesel engine, it’s impressive that Peugeot (and Mercedes at about the same time) had already figured out this formula in 1979 – a competent, comfortable, spacious sedan powered by a torquey, fuel-efficient turbocharged diesel four. At 79hp/136lb.-ft., you won’t win any races with a 505 Turbodiesel, but you won’t be helpless like you would in Dad’s 504 Diesel wagon. And if you have power, French comfort and roadholding, and decent fuel economy, what else do you need? Well, maybe for that cloud of soot to stop following you around like a bad hangover. 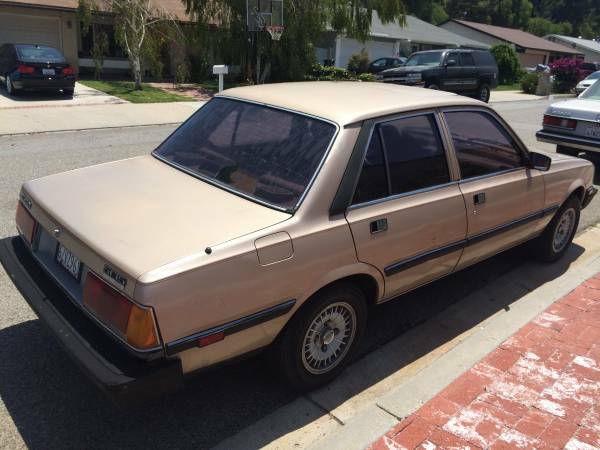 Find this 1981 Peugeot 505 Turbodiesel for sale for $2450 in Simi Valley, CA. Thinking back to what else was on the road in 1981 – E12 BMW 5-series, Mercedes W123, Lancia Beta sedan, or the Saab/Subaru options for the pipe-smoking, leather-elbow-patched demographic – these cars with their tall greenhouse, angular lines, and flush pull-tab door handles were quite modern. And these have the well-deserved reputation for a comfortable ride on par with Rolls Royce, Jaguar, and Cadillac, without any floatiness. 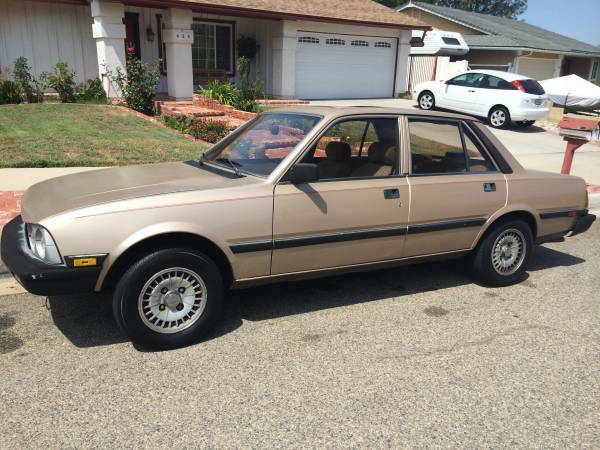 This car looks to be in great shape for its age, and the paint has that sick satin texture all the kidz are spraying on their Smart ForTwos and Nissan GT-Rs. The suspension is said to be in good shape, and the odometer is still working at 121,000 miles, and comes with a substantial set of extra cosmetic parts. What are the odds those are less oxidized than these? Or could you rejuvenate these with some flexible matte black paint? 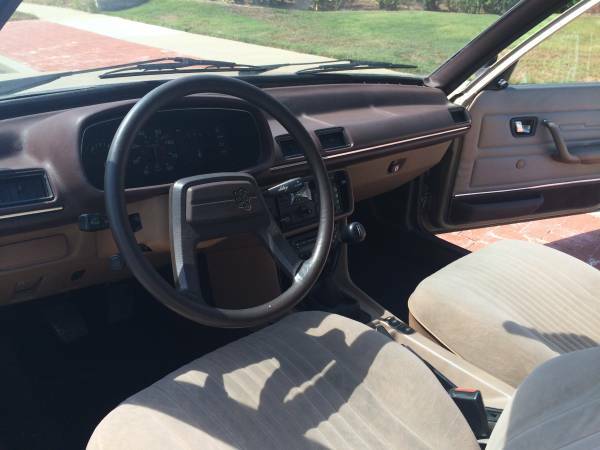 There’s that interior – the odd charm of the dashboard, combined with the strange angle and location of the shifter, and the soft velour chairs, makes this look like what you’d expect a Parisian grand-pere to be driving. What’s visible of the surfaces seems remarkably well-preserved, even though these interiors don’t have the reputation for durability their Mercedes competition does. Between this and yesterday’s Subaru hatch, which would you pick for an interesting daily commute? This entry was posted on August 26, 2014 at 2:40 pm and is filed under Feature. You can follow any responses to this entry through the RSS 2.0 feed. You can leave a response, or trackback from your own site.